I have known Mike Worley for over 5 years. We have talked about doing a website for his DJ business for about the same period of time. In September of 2015, we launched The Edge Radio Show with Mike Worley. 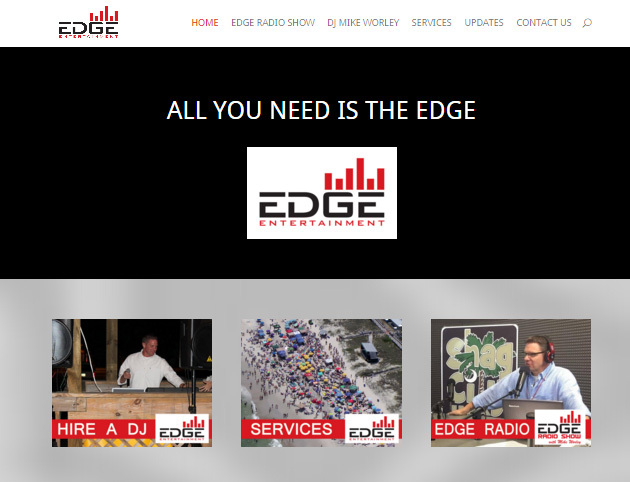 Within a couple weeks after the show got going, the new website for Edge Entertainment was launched. If you need a DJ or Emcee, you can’t go wrong contacting Mike Worley. If you need to get more exposure for your business, contact us about advertising on his radio show that plays weekdays from 9am to 12 Noon.